Celebrating their tenth anniversary together, Lucy and Tiny Tim the emperor tamarins welcomed a new heir to their animal kingdom. The baby bundle was born on 19 January and is the couple’s ninth baby born at the Park. 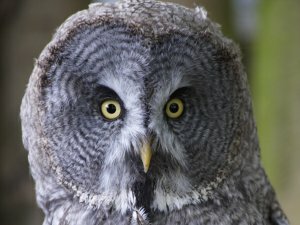 The 2015 Animal Oscars gave recognition to a host of four-legged stars with the zoo’s very own ‘Mr Grey’, the Great Grey Owl, scooping ‘Best Leading Man’. He turned fifty shades of pink over all the attention! 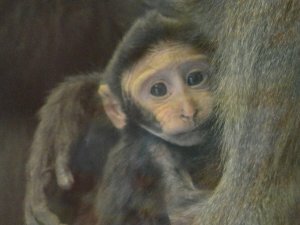 The zoo’s critically endangered Sulawesi black crested macaques celebrated the arrival of bouncing baby boy on 18th March. The group are part of the European breeding programme, created to secure the survival of the species in the future. The celebrations continued in April with a new arrival in Lemurland. A female black lemur was born on 2nd April and named after Princess Charlotte. To celebrate the zoo’s 90th birthday, Drusillas hosted a tea party on Wednesday 13th May for ninety 90 year olds from across the region. Head Keeper, Mark Kenward spent Father’s Day alongside squirrel monkey, Little Boy who he hand reared at the Park twelve years ago. Drusillas introduced Bactrian camels, Roxy and Lofty. The dessert duo arrived on 13 July from Cotswold Wildlife Park. A huntsman spider that travelled from Africa to Hampshire in a shipping container was rehomed to Drusillas. Zoo Volunteer, Olivia Cottrell also had a picture of Scar the lemur tattooed on her ankle. 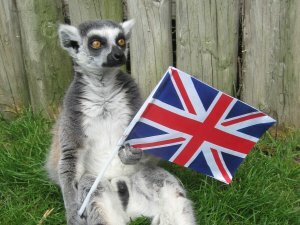 The zoo’s patriotic ring-tailed lemurs flew the Union Jack flag in honour of Queen Elizabeth II, who became our longest serving monarch. The zoo’s three youngest rock hyraxes discovered a somewhat unconventional way of getting around, hitching a ride on the backs of the red-footed tortoises with whom they share an enclosure. The unusually mild weather led to confusion amongst the zoo’s black-tailed prairie dogs, who failed to go in partial hibernation for winter. Drusillas Park launched an appeal to find the owner of a well-loved toy bunny left at the zoo. The post received nearly 1000 shares in the first 24 hours and the runaway rabbit was reunited with its one year old owner one week later. ...plus 2016 is set to be another bumper year with the opening of the new splash pad attraction Get Wet! and large renovation works to the serval enclosure… but in the meantime, Happy New Year.